The band is inactive since years, but they are working on a unreleased material,recorded for a new album! The band is not very much interested in internet stuff. incl. the E.N. 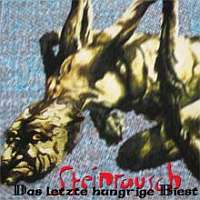 cover "letztes Biest"(2 versions). Comes in a special made cover with additional photos and lyric sheet. Second edition. Comes in pvc sleeve with new booklet, lyrics & 3 additional photographs. 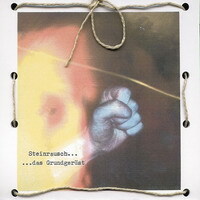 (CMP 6) "Steinrausch - Das Grundgerüst"
Rock, ambient, experimental alternative rock, political. Hand made cover incl lyrics. 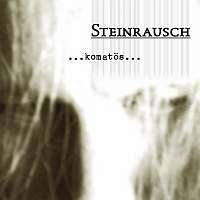 (CMP 4) "Steinrausch - Feuerrausch und Alltagswahn"
Experimental, rough-industrial, ambient, rock, alternative. Rough-industrial, punk-industrial, experimental, rock, noise-rock. The anti-bush album, released as the USA "declared" war on Iraq again. Including bush speech in English with German interpreter. Great energetic level, rough and dirty. Highly recommended. Booklet & inlay in jewel case.